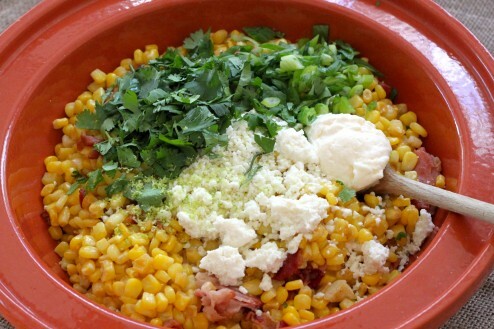 I first had Esquites in Mexico many, many years ago and fell in love with them. The texture of the crunchy, sweet fresh corn paired with the pungent bite of cotija, smoky bacon and freshened up with the cilantro and lime is like one of the best things you’ll ever put in your mouth and on your table. I love the recipe because it’s so fresh, light and versatile – it can be doubled with ease for a party and let me tell you, this will go fast! Couple of notes for those of you who will be making this – first, you don’t have to use bacon; I added it because I love bacon and I thought it would make it a bit more interesting. 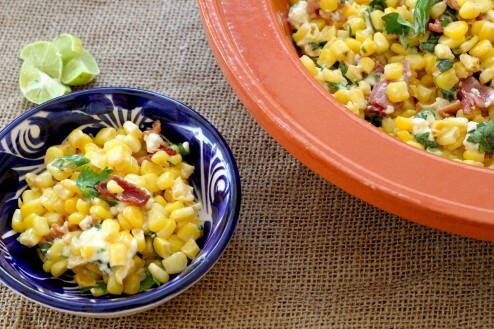 Second, if you don’t want to use fresh corn because you are making it for yourself and don’t want to put in the extra effort, because lets be real, it’s messy and there are strings of corn silk everywhere, you can use frozen corn. 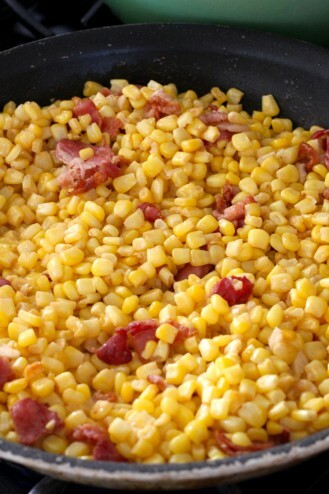 Just get the butter and oil (or bacon fat) really hot so that the corn slight browns in some places – remember, brown equals flavor! 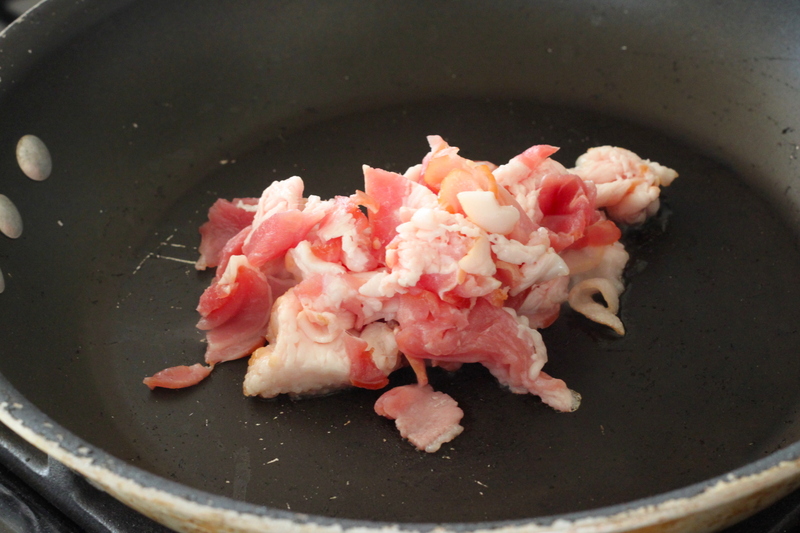 In a large saute pan, heat bacon fat and butter on high until melted. Add in corn and spread out in pan - salt and pepper to taste, let cook without stirring for 3 - 5 minutes until some of the corn browns slightly. Add in garlic and mix, cooking for another 5 minutes or until just soft. 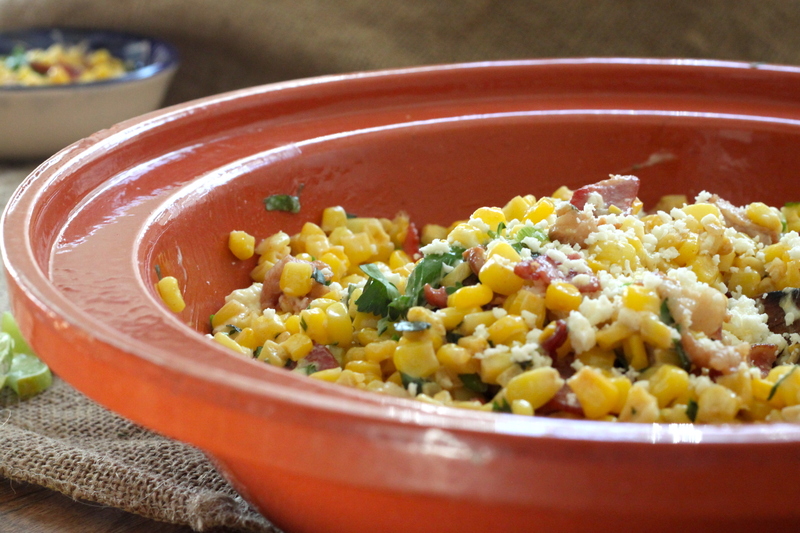 Remove from heat and pour corn into a large mixing bowl. 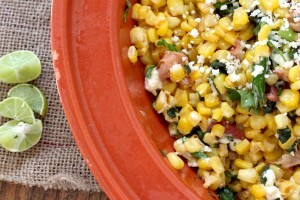 Add in mayonnaise, smoked paprika, scallions, lime juice, zest and half of the cotija, bacon and cilantro. Mix until everything is well coated, then transfer into a serving bowl. 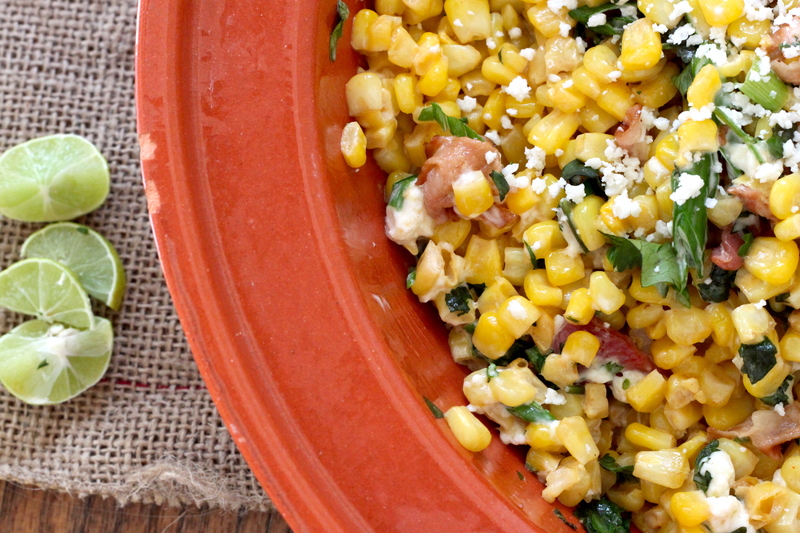 Sprinkle remaining cotija, bacon and cilantro on top and serve.